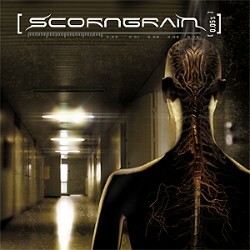 Scorngrain was born in spring 2001 when Eniac (drums & programming) and Dr. Mike Lederfaust (guitar & programming) got together in order to explore their boundaries in metal music. Right from the beginning they knew what Scorngrain should sound like: Hard metal combined with heavy industrial influences and weird loops but still keeping the foundation of thrash as a basic element. Later that year Scorngrain was joined by TwentynineA (vocals). 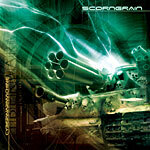 In March 2004 Scorngrain launches their debut album "Cyberwarmachine", which contains 9 tracks of furious CyberThrashMadness. 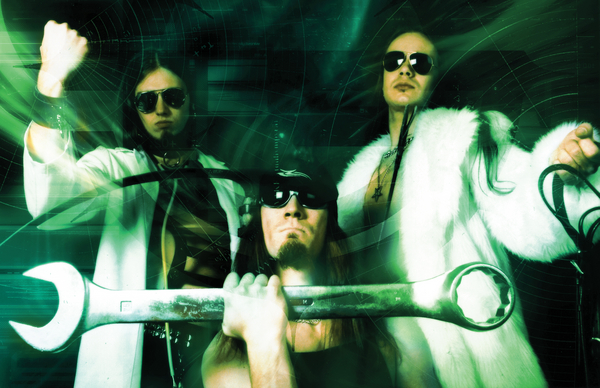 "Cyberwarmachine" was made for one reason: To take the metal music to other level. It was a challenge, which Scorngrain accepted. Session basses on CWM was played by Herbalizer. Scorngrain's future line-up for live shows will feature two session musicians: A.I. - Guitar, Herbalizer - Bass. Scorngrain's Warmachine is ready for the feast of burning fuel.